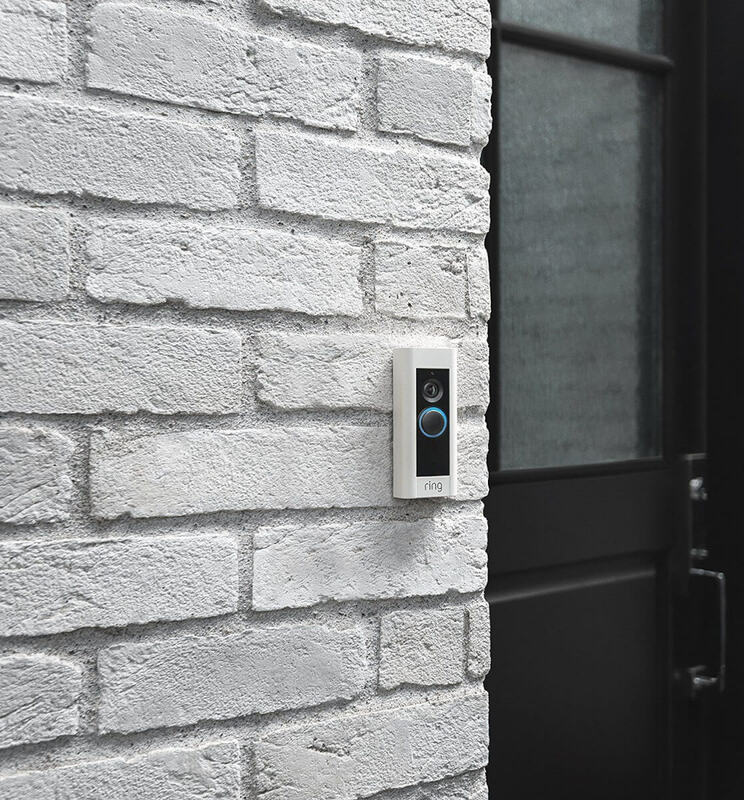 So many Ring doorbells, so little time – to decide which one is right for your smart home. 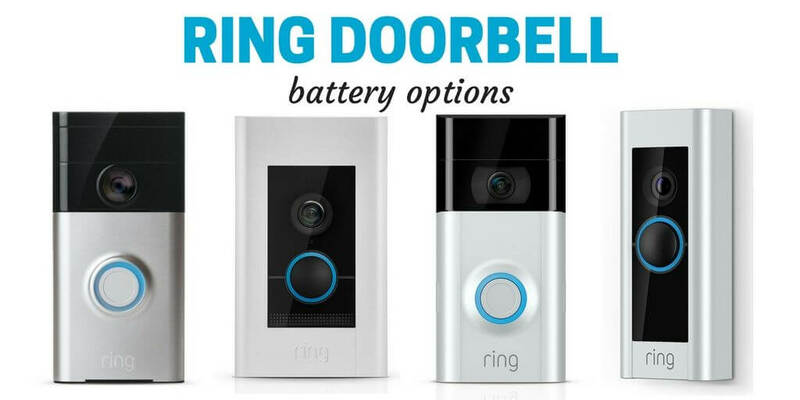 One of the biggest differences among models is the Ring doorbell battery powering each device (or the lack of one). Let’s take a look at the various power sources available for Ring, Ring Pro, Ring 2, and Ring Elite and clear up the differences in battery power for each. All of the doorbells offer different options for recharging, in addition to varied Ring battery life performance. If you go with Ring or Ring 2 (the battery powered options), then make sure you don’t ignore the multiple reminders in the Ring app and your email reminding you to recharge the doorbell. Otherwise, you’ll have to set up the doorbell in the app again. Besides the Ring doorbell battery differences noted above, there are quite a few other changes between the doorbells. It can be a little confusing to sort out all of the differences between the Ring, Ring 2, Ring Pro, and Ring Elite – so we’ve done the digging for you with a helpful comparison table in our article Ring vs Ring Pro vs Ring 2, which you’ll want to read in addition to this article. Read on for more details on each Ring doorbell battery life. The original smart doorbell that launched Ring to video doorbell fame can be hardwired to an existing doorbell wire, or it can operate on a rechargeable internal battery. If you skip the hardwire, then at some point you’ll need to uninstall the entire doorbell and plug it in to juice it back up again. 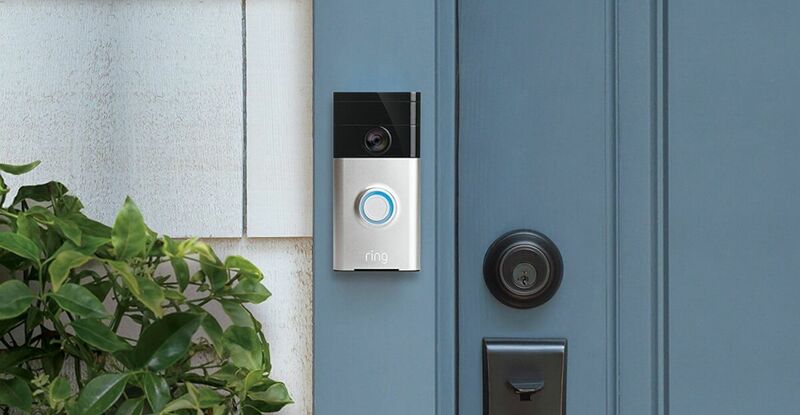 Ring reports that the battery should last anywhere from 6 to 12 months on one charge – depending on how much activity your video doorbell is recording. Real-life users report a much wider range on Ring battery life. Some users in cold climates have said they need to charge their doorbell every week or two, and Ring admits that the battery drains more quickly below 40°F. Other users say the battery lasts 1-2 months, while some are seeing the battery last for at least the 6 months claimed by Ring. Reducing the level of motion sensitivity and specifying motion zones can help preserve battery life. It will also mean receiving less alerts about activity within the camera’s field-of-view, so you want to be careful how much you turn down the sensitivity. Other tips for saving Ring battery life are only turning on the live view when necessary, and changing Smart Alerts to Standard or Light setting. To recharge the Ring doorbell battery, you’ll need to take it down from its prime position guarding your front door. Unscrew the two security screws attaching the unit to the mounting bracket and the unit should easily lift away from the base. You’ll leave the base there for easy re-installation. Then, use the included micro-USB cord at the back of the doorbell to plug it into a power source for recharging. Ring recommends using a 2.1 amp wall charger, although one isn’t included in the packaging. The Ring doorbell battery should be fully charged within 5 to 10 hours. 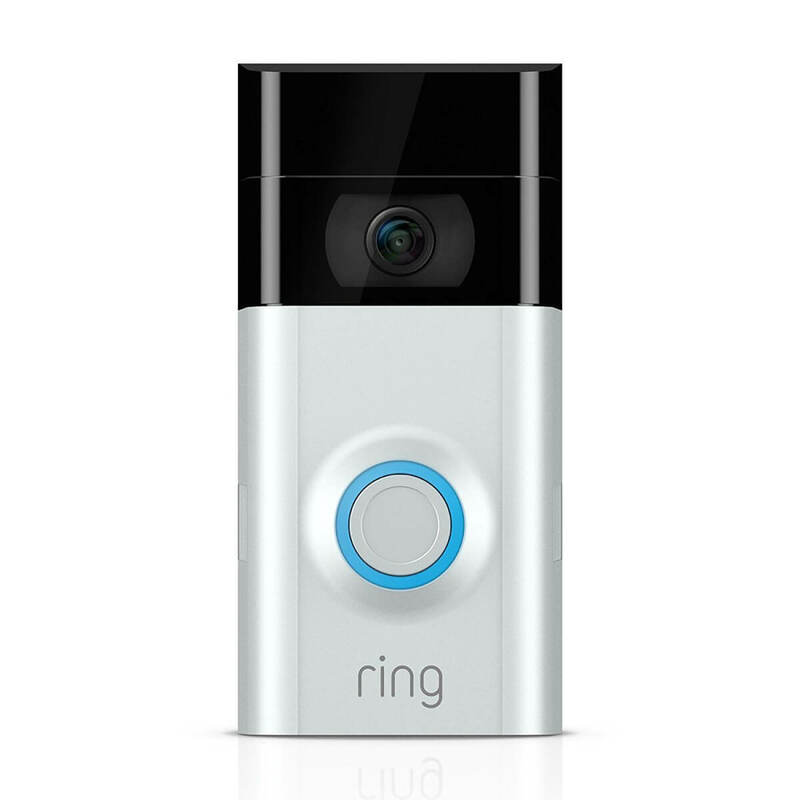 This is one of the negatives of the original Ring: that you have to go without a doorbell during recharging. Its poor battery life performance also may convince you to upgrade to Ring 2 or another option. Is the charger included in the packaging? 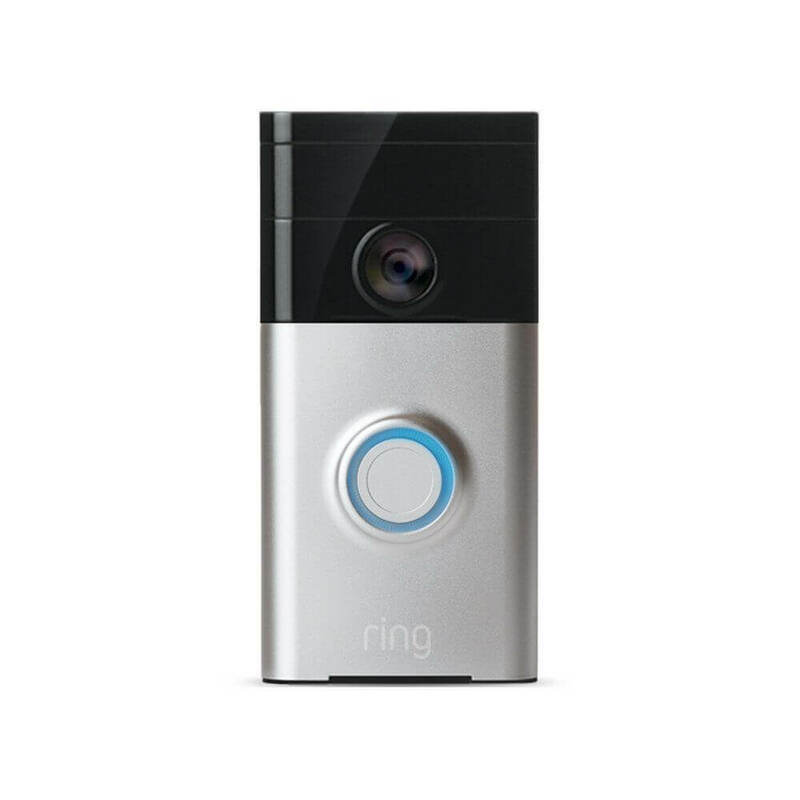 Yes, Ring includes a micro-USB cord with the video doorbell, as well as a screwdriver for removing the unit from the base. If you lose or misplace the cord, you can substitute with another micro-USB cord. How do I know when my Ring is fully charged and ready for duty? The blue ring around the Ring doorbell button will be fully illuminated when the battery is charged. While charging, the ring will illuminate partially to indicate the charge percentage. The app may not update your battery’s status immediately, but it will once it’s re-installed and detects motion or is pressed. What if you had a Ring doorbell battery that could be swapped out for a fresh one when the power is running low? That’s what Ring 2 delievers. 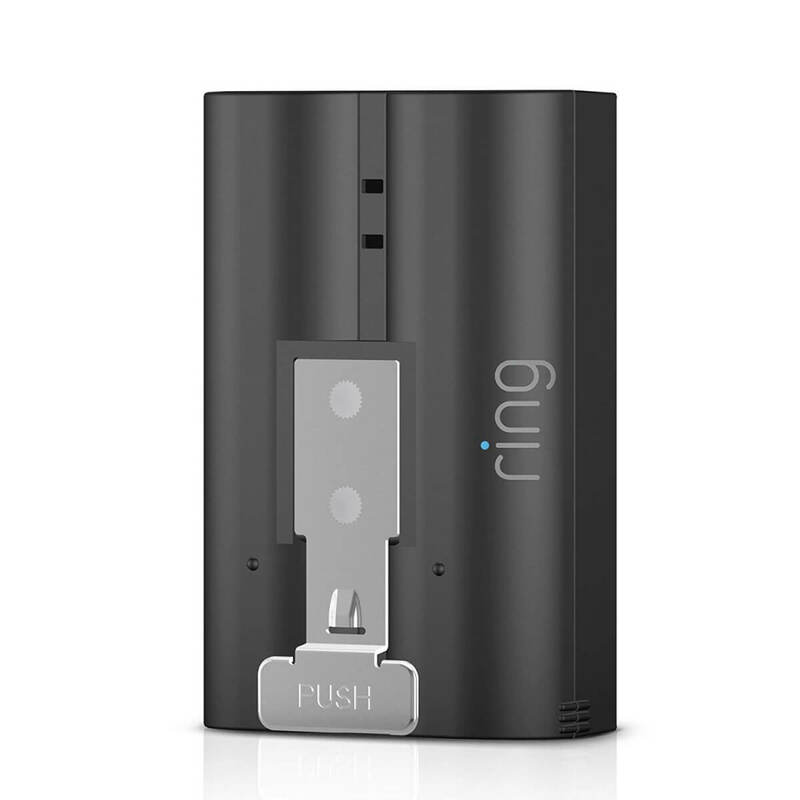 Instead of removing the entire doorbell and bringing it inside to charge, the Ring 2 has a removable, rechargeable battery separate from the unit. Ring says that the battery will last for 6 to 12 months, or approximately 1,000 notifications. Users seem more satisfied with the Ring 2 battery life, and its performance was likely improved over the original Ring doorbell. Many users purchase an extra battery for around $30 to rotate when battery life gets low. This solution makes changing the battery even once a month without a major hassle, since you can always have one battery keeping your doorbell running and another charging. As a bonus, these are the same batteries that work with Ring Spotlight Cams, including both the Battery and Solar cameras. To change the battery, you’ll need to unscrew one security screw so you can lift and remove the faceplate from the Ring 2. Then, pushing the Release tab, you’ll be able to slide out the battery component of the doorbell. The battery itself has a micro-USB port, so you can plug it in to a power source using the included cord. You likely do not need to buy a charger, since any device with a USB port can charge the unit, although you may want to buy a wall charger for quicker charging. Once it’s charged, slide your Ring 2 back into place until you hear a click. Replace the faceplate and security screw. How do I know when the doorbell battery is fully charged? A green light on the battery pack will illuminate when it has been fully charged. While it’s still charging, there will be both green and orange lights. Can I just connect the Ring 2 to a hardwire and avoid relying on the battery? Yes! Just like the original Ring, Ring 2 works either hardwired or on a battery. If you try it on a battery and don’t like the hassle of keeping the battery charged, you can always switch to hardwired mode, as long as the wiring is available. The Ring Pro has no battery onboard – it must be connected to a hardwire. This may be a plus if you’re looking for a unit that will draw on your home’s power supply rather than a battery that needs recharging. The drawback is that the doorbell must be installed in the wiring available outside your front door, which may be intimidating for some homeowners to set up. How is the Ring Pro connected to a hardwire during set-up? 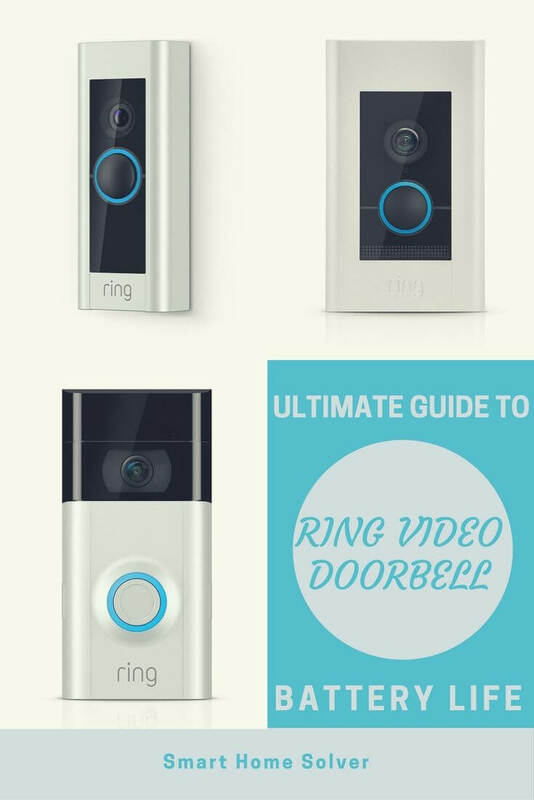 Ring can provide you with step-by-step instructions, but essentially it involves disconnecting the wiring harness from your existing doorbell (after turning off the circuit at the breaker box). Then connect the wiring harness to the included Pro Power Kit, which enables your Ring doorbell to operate. You’ll connect the Front and Transformer wires to the Pro Power Kit, then place this inside the Ring Pro. The instructions from Ring provide clear diagrams, but if you’re concerned about taking on this electrical project, you can always hire an expert. Is there a battery back-up available for the Ring Pro? Nope – it’s all powered by your home’s electrical system. If the power goes out, so will your video doorbell. What voltage is required for installing the Ring Pro? The unit must be connected to a transformer between 16 and 24 volts AC. This model is another unit that doesn’t have a Ring doorbell battery. Instead, the Ring Elite is hardwired using power over ethernet (commonly referred to as PoE). This connection supplies the video doorbell with both power and wired Internet. 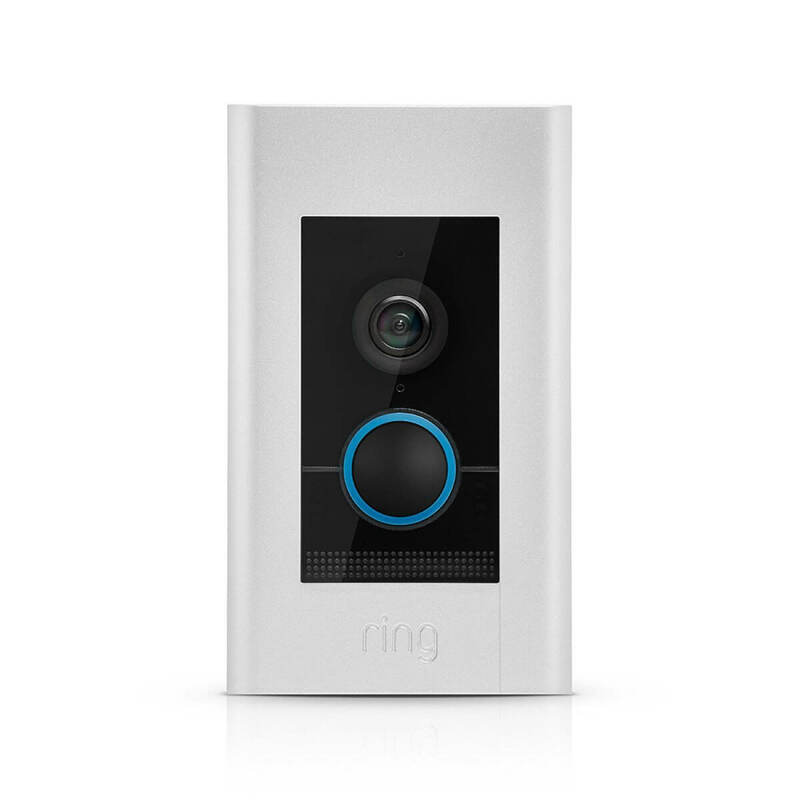 Ring Elite is a flush-mount video doorbell that promises stable and secure connectivity, thanks to the use of PoE. To install, you’ll need to plug in the Elite Power Kit into an outlet, then connect to your ethernet source using the included 3-foot cable. Then, using the included 50-foot cable, you’ll need to connect the Power Kit to the Ring Elite – perhaps by running the cable through the wall. In other words: setting up this doorbell is no small task, and you’ll likely want to budget for an electrician. With no batteries and no electrical wires, this Ring doorbell relies on your home’s Internet connection for power. It is sleek and bypasses the hassle of batteries and hardwires, making it extremely reliable in both its power source and internet connection. 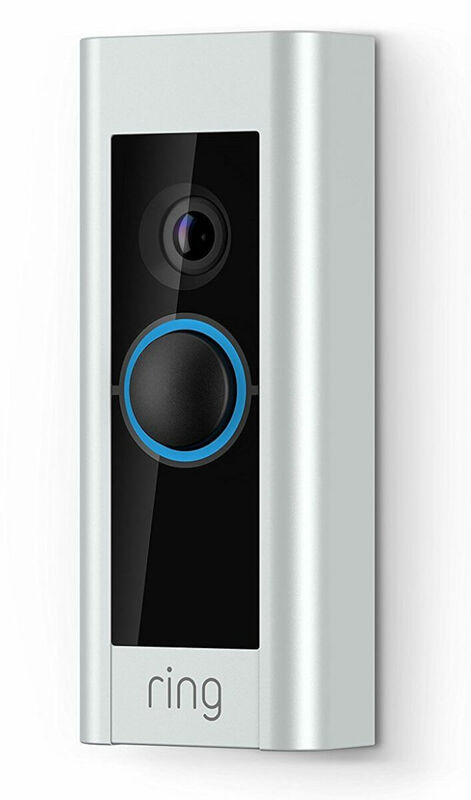 But it is also by far the most expensive of all Ring doorbells – and just about any video doorbell on the market. Some of our other picks for smart home doorbells can be found in our doorbell guide. Is there a battery back-up for the Ring Elite if the Internet goes down? No, the flush-mount design does not include a battery. So if the Internet is out, your video feed and alerts will be unavailable as well. What type of doorbell system is necessary for installing Ring Elite? Ring Elite is compatible with AC doorbell systems between 8 and 24 volts. It also requires an ethernet connection for power and Internet. Choosing the right video doorbell may depend on which Ring doorbell battery you want to rely on, and if you choose a model with a battery at all. My favorite option is the Ring 2 with its rechargeable battery system. Though you will need to purchase the spare battery separately, the battery consumption is much more reliable than the original Ring. Even if the battery doesn’t live up to Ring’s claim of 6 to 12 months, changing it out for a freshly charged one is not as inconvenient as dismounting the entire doorbell and plugging it in for hours of charging. Plus it has a hardwired option if that’s what you are looking for. If you don’t live in an especially cold climate that can drain your batteries, and you also don’t mind going without your video doorbell for a few hours of charging, then you could save your money and buy the original Ring with the battery built-in. Just be prepared for lower than advertised battery life, and dismounting/remounting the unit to the exterior of your home. 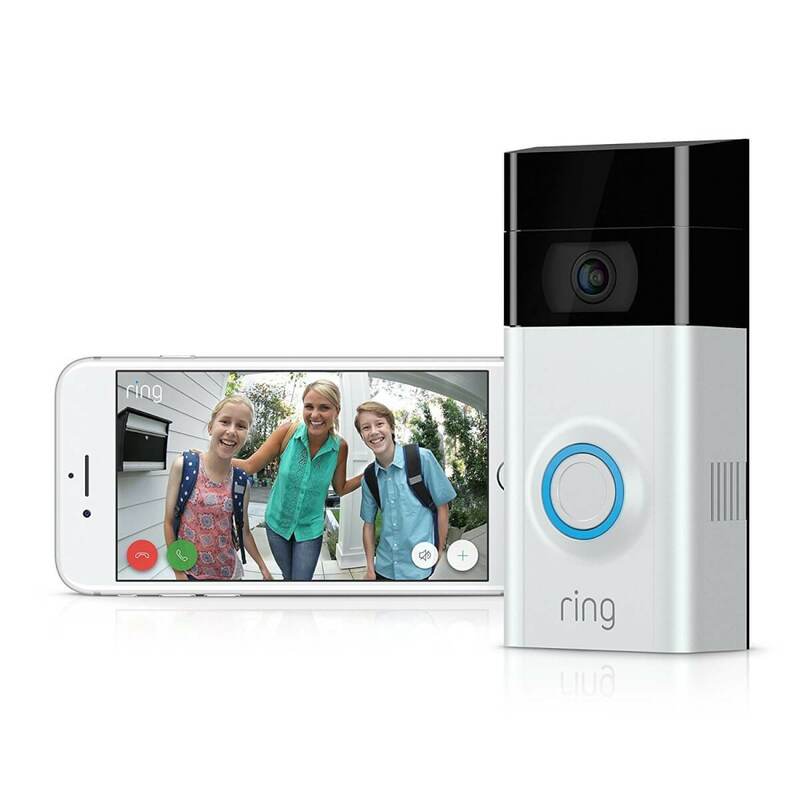 Finally, if you’ve decided to skip a Ring doorbell battery altogether and hardwire your unit – then you may want to opt for the Ring Pro since it has a sleeker design and more advanced features without too high of a price. Ring Pro is a good battery-free option, unless you really want to utilize PoE in which case you would want to spring for the more expensive Ring Elite. If you want a different brand of doorbell altogether, check out our reviews for the Zmodo and RemoBell smart doorbells, and our comparison of Ring vs August vs SkyBell. Which power supply do you think is best for a video doorbell – hardwire, battery, or PoE? Let us know in the comments below. Very good explanation. I have the ring 2 which you can either hard wire or use the battery. I am going to use the battery until I figure out how to hard wire it. I have the basic Ring doorbell wired to my old doorbell wiring. Now I am getting an email that says that the battery charge is low. I thought the old doorbell wiring would keep it charged. Can someone answer this issue? Hi Dennis. I would reach out to Ring at help@ring.com because there might be an issue with the wiring or not enough power. They should be able to help you fix the issue though. I have ring doorbell and battery runs out in two to three days. Can anybody help? My Ring2 battery doesn’t hold a charge longer than 3 weeks! So glad it is easy to recharge. My Ring was a Christmas gift, has only been installed for about 3 months and I have had to recharge the battery at least 5 times!